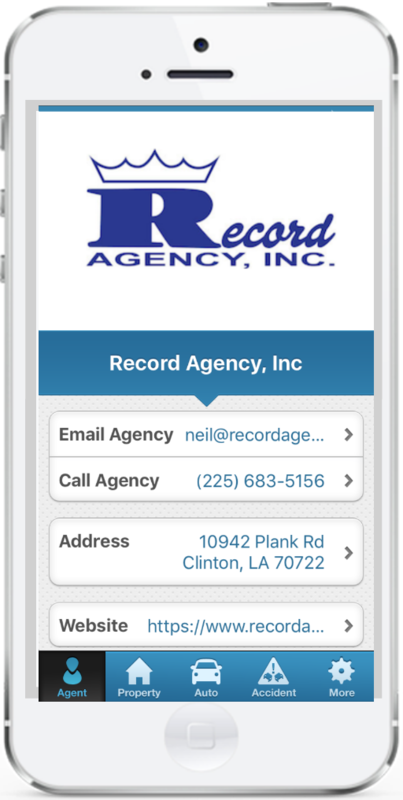 App - Record Agency, Inc.
Be prepared with our mobile app! No matter where you are and what the circumstances are, our agency mobile app is always there to help you. Whether it be a home inventory, claims situation, policy service, or general contact information. Why download our mobile app? There are several important reasons why downloading our agency app is a no brainer! Our app allows you to store multiple vehicles and ID cards, and also has a mobile claims kit with one-click help, tow truck and geo-locator. 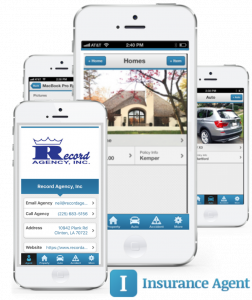 Ensure proper coverage and create & update home inventories in minutes. Capture the contents and the value of your personal property on your smartphone! Do you need an ID card or other policy documentation on the go? Our app makes requesting your insurance documents simple and easy. We can send you important notifications regarding your policies, billing and claims with the push of a button, ensuring that you're always in the know. Watch this quick video that will show you the benefits and features of our app!